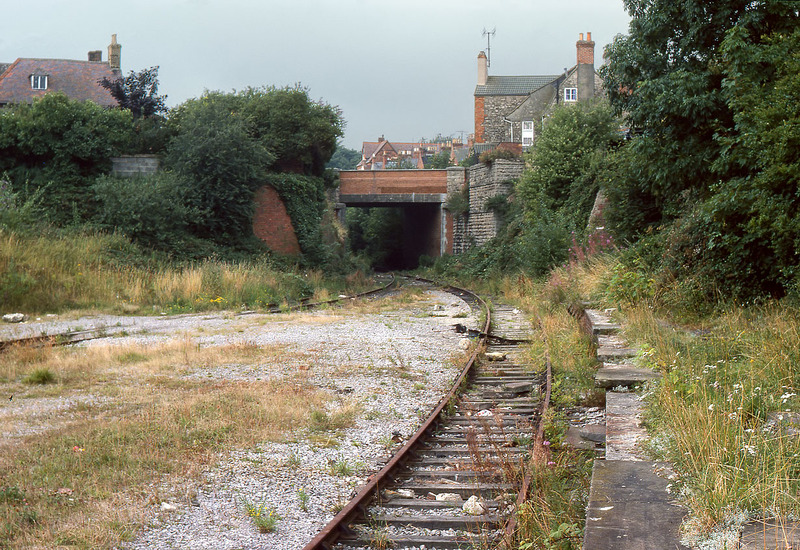 The remains of Swindon Town station looking west on 22 August 1978, with some of the platform coping stones allegedly removed as they were fouling the wagons used on the stone trains in the early 1970s. Vegetation is taking over, but the scene would shortly be transformed, with the track being lifted and an industrial estate built on the site. The bridge does still survive as it marks the start of a cycleway which follows the course of the line around the southern edge of Swindon.